Getting there: 6 miles S of Marquette via Co Rd 553 & Co Rd 480. Parking on east side of Co Rd 553. What's there: The popular Blueberry Ridge Pathway, located in Marquette, Michigan, is one of the Upper Peninsula’s most popular cross-country skiing areas and was named for the area’s noted jack pine forest blueberry patches. 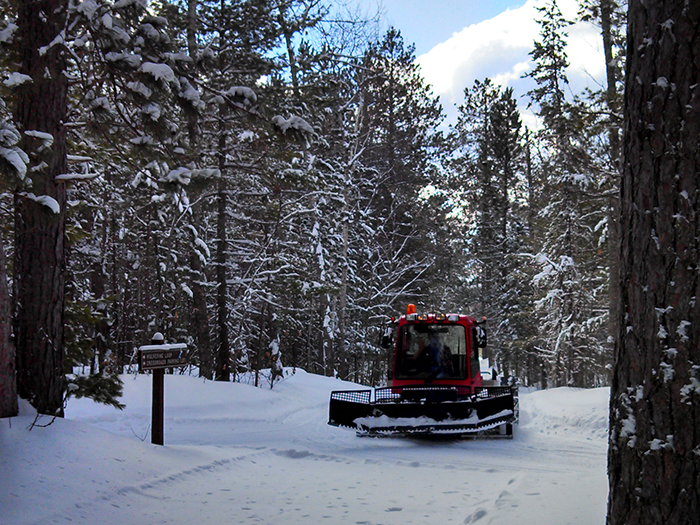 It is home to 13.67 miles of groomed cross-country ski trails, including 1.7 miles of lighted trails for night skiing and a warming hut to be used for shelter from the cold temperatures in the winter. In the warmer months it can be used for trail running and hiking. Biking and horseback riding are not permitted on this pathway.